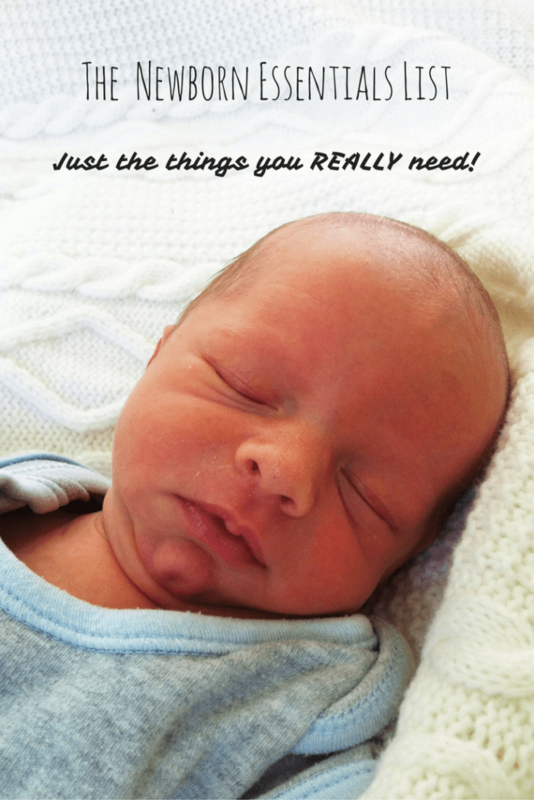 You are here: Home / parenting / Newborn Essentials List ~ Just the things you REALLY need! 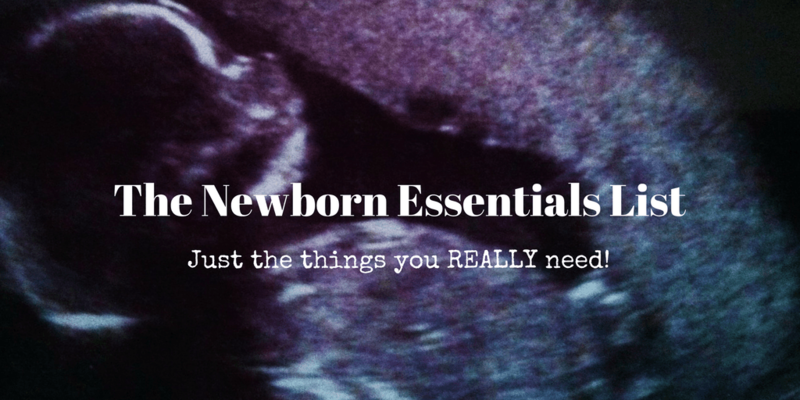 Newborn Essentials List ~ Just the things you REALLY need! When it comes to having a baby, the first time parent can be forgiven for getting completely overwhelmed by the array of items that are classed as ‘essentials’. Honestly though babies need very few things for the first few months and the real essentials can be as cheap or as expensive as you are willing to pay. If you are preparing for baby on a budget remember, not only can most items be picked up second hand for far less money than new, but you can also sell them on again when you have finished with them. Meaning you can then go on to fund even more things you need. After all it’s not as if newborns are running around ruining their clothes! You will likely get bought plenty of outfits which means you can get away with buying less but honestly, newborns don’t need a wardrobe full of frilly dresses or designer dungarees. If you have a very sicky baby you might want to up the numbers so you’re not constantly doing laundry. Warning: Babies seem to grow over night so it is always handy to have a few of the next size up at hand just in case. If anyone agrees to buy baby an outfit ask for a size or two up. 4-6 fitted sheets You will need a few in case of messes, I’ve been known to change a cot sheet 5 times in one night due to reflux! 2 sleeping bags you could get away with one but poo and sick explosions can get messy! Those parents who want to co-sleep may even choose to not purchase a crib at all. If you do this please follow the strict safety guidelines for co-sleeping. I recommend you buy a few packs but don’t stock up too much on the first size as you may find your baby outgrows them quite fast. If people offer to buy you nappies and you already have a stock of your current size ask for bigger sizes so you always know you have some for them to grow into. Cotton wool and water is great for the first few days but it can be difficult trying to deal with a bowl of water, a dirty bottom and a wriggly baby in the dark, while your still half asleep. Wet wipes are a great alternative and shops regularly have deals on wet wipes so stock up when they are sale! 24 liners I recommend using fleece as it keeps baby’s bottom dry. You can even buy a metre of fleece and cut out your own! When your baby reaches the 8-10lb mark you can choose from the many different types of nappies on the market. I recommend buying just one or two of a few different brands and types before deciding which suits your baby’s shape. You can choose anything from the more economical and traditional terry squares, to the all in ones that are exactly the same as putting a disposable on, and everything in between. Plus fluffy bums are just so darn cute! If you opt to bottle feed your baby or are unable to breastfeed your list of items looks more like this. Steriliser – there are many options from ones that go in the microwave, to steam sterilisers, to using sterilising tablets in cold water. The cheapest option is to boil them for 5 minutes in a saucepan but you will need to check your bottles/teats are safe for this. Carseat – you will need one even if you don’t own a car. Most maternity wards won’t let you take baby home without one. This is the one thing you should really buy new. If you buy second hand you may not know if it has been involved in an accident which will make it unsafe. You may choose to only use a stroller or only a sling. In which case you may not need to purchase both. A sling is wonderful if you have a fussy baby who wants to be held a lot and you need your hands free. But a stroller is also great for putting your shopping in while baby is in the sling 😉 both of these can be bought second hand, in fact pre-loved slings are great because someone has already done the breaking in part for you! Baby bath babies are just as happy bathing in a sink, big bath or washing bowl. Moses basket (bassinet)/ hammocks newborns are just as happy in a cot, even if they look tiny! Breast pump this one is optional but can really come in handy, you can buy manual hand pumps quite reasonably. You will then also need a steriliser. Bouncy chair A great place to put baby down somewhere safe but not really an essential, especially if you have a pushchair or Moses basket. A special nappy/diaper bag I find backpacks much more convenient, especially when babywearing, plus they are usually bigger and are WAY cheaper! Baby products such as lotions you are much better using a 100% natural oil such as sunflower, olive, coconut or almond which you may already have at home. 100% Aloe Vera gel is supposed to work wonders too. Please test on a small part of skin (like the inside of the elbow) to check for any reactions first. Remember the most important thing your baby needs is you! Lots of love, hugs and kisses, and milk, are the real essentials, just ask any baby! Have I missed anything you feel are essential when you have a newborn? Such a comprehensive list. Baby bottles, diapers, bassinet and strollers are must-have for us.